James and Cynthia Schubauer were married on a chilly morning in December - 12/13/14 to be exact. 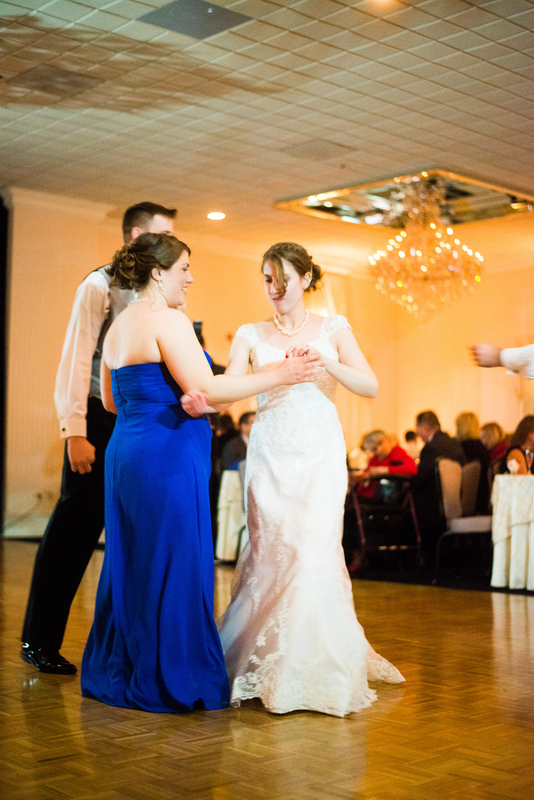 After exchanging their "I do's" during their romantic ceremony in Oreland, PA, the Bride and Groom, along with their 180 guests, dined and danced the day away at beautiful "Celebrations" in Bensalem. We were honored to be part of this couple's big day, especially since both James and Cynthia are close friends of ours. It was a true joy to work with them throughout the planning process and a blast to DJ during their reception. Congratulations to the Happy Couple!